I have a new post, again (I know, how annoying) for all of you people reading. This however made no difference to the lovely people who bullied me because of my hair. And if I remember correctly, one of them had hair that was more red than mine. SO the time has finally come where not only am I sick of being a 'red head' (strawberry blonde ffs) I am wanting a change in hair colour. It is a huge decision, considering I'm not going to tell my mum. I'm seriously going to come home one day with a completely different hair colour. It shall be awesome. I have a few ideas, and they're based on the fact that I have super white skin, and awesome blue eyes. I have decided to go dark. Could you imagine a super white skinned girl with dark hair? It has been done before, but honestly, I think the dark hair would be a great contrast to my extremely white skin. Not only have I decided to go darker, but I'm wanting brown. Not black, since most of the time, black hair that has been dyed, looks ratty and fake. So, brown is the colour. 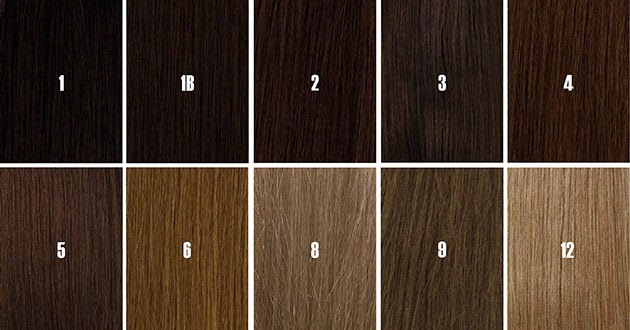 Below, I have chosen 10 different browns, and I am struggling to choose. Like I want it to look great with my skin, cute with my eyes, yet not look fake. Here are the browns above. I'm leaning towards number 5, but I'm just not sure. So here's where you amazing people come in to it. 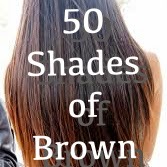 If you had super white skin, awesome blue eyes and wanted a change of red hair, what brown would you pick? I need this answer asap and it would be a great post one day!